Following a life-long desire to sing and perform, Debra Cowan left her job as a California middle school maths teacher in 1997 and went to live for six months in Edinburgh, Scotland where she learned the art of unaccompanied singing. 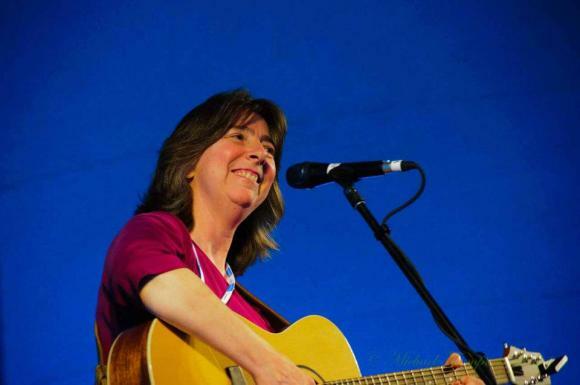 Returning to the USA in 1998, she began travelling all over New England performing at any open mike within 100 miles of her new home in Massachusetts. Almost two decades later, this is where she is now: a full-time singer who bridges the old and new with a refreshing stage presence. She has released five full-length recordings, all of which have earned praise on both sides of the Atlantic and her songs have been included in five compilation recordings. She tours extensively in the United Kingdom and in North America. Debra has collaborated with stellar musicians such as Dave “D M” Mattacks, Brooks Williams, Joyce Andersen and Bill Cooley (Kathy Mattea, Reba McEntire). She has two acclaimed solo recordings to her credit, and her third, “Fond Desire Farewell”, was produced by former Fairport Convention drummer Dave Mattacks. With a voice that blends Celtic and Appalachian styles, Debra Cowan performs a cappella and with guitar, interpreting with clarity and warmth a wide range of traditional and contemporary folk songs and encouraging the audience to join in on choruses and refrains.